I work for a company that offers a variety of products and services online. Most of these products include a fee give away the incentive to invite customers to try out said product and service, often something that involves a later sale or monthly membership. Seems a fairly easy concept to grasp, one would think. Apparently, it isn’t. I will forgo including any references to our specific products because my point here isn’t to raise debate on our products, how they are presented, or to even market the products for that matter. My point here is that though plenty of people “get” it and either choose to continue with the product or not that we provided an incentive for them to try, there is a sub-section that just doesn’t get it. These are the people we hear from. When I say we, I am again being general. The people that take the brunt of all this is our customer service department. This is a tough job emotionally because the only ones you typically hear from are the complainers who either a) flat out didn’t get the fact that they signed up for something more than just the freebie, b) didn’t read the terms and conditions, or c) are lying and basically making up anything to try and get their money back. I should clarify here, we don’t try to hide the fact that our incentive is just that, and it is tied to a product we would like you to try out. There are plenty of sites that trick you with their offer or otherwise do things consumer protection outfits are there to get after. We hope you will enjoy our product or service, we just know it takes marketing gimmicks often to get customers in the door. Still, for all those sites that do have lengthy T&Cs to hide the meat of what they are doing, you as the consumer need to take the time to read what you are agreeing to. If you agree to it, you are responsible for it. Make educated decisions online, and generally speaking, you will be ok. I have taken and listened in to a myriad of customer service calls, not only where I work now but all over, and continue to be amazed by the audacity of some, and the stupidity of so many others. Yes, I know actual fraud exists out there, but just because you didn’t read the terms to the freebie doesn’t mean we owe you back all the money you spent with interest and a little extra to make you feel better. The one that gets me is how many start right into the fraud angle. Why is this charge on my card, you must be a fraudulent company that STOLE my credit card because I did not authorize this charge? I can’t tell you how many times we hear that on a daily basis. Our customer service reps try, most often in vain, to talk some logic into them, pointing out our extensive records of when they made the purchase, the incentive they received and what they agreed to purchase after a trial period. Then there are the obvious fraudsters on the customer end of things. These are the people that figure they have the system dialed in. They order freebies and later demand their money back, which after receiving a refund they go back to their credit card company and also reverse charges on, hoping to double their money and keep the freebie. We spend many, many resources tracking and defeating these situations, which ads to our overall overhead in offering our products. 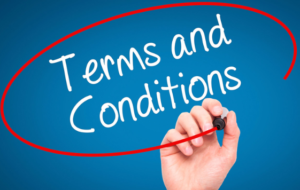 These are the ones that make businesses have to write more extensive T&Cs to protect themselves, in turn making it harder for average customers to understand what they are getting in to. 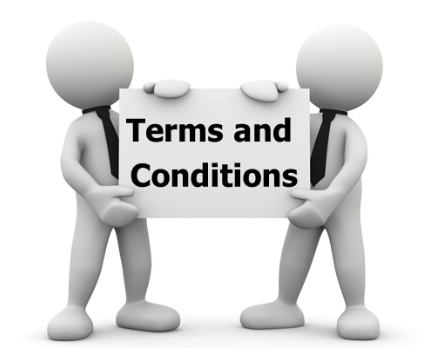 As a customer read those terms and conditions. Be aware of what you are purchasing, even if it seems like a pretty straightforward offer. If you like what you read, then make the purchase. If something is free, I can pretty much guarantee it is not. As much as we would all like to believe that the Internet is our generations attempt at free society, business runs on making money. But, just because there is a trial offer associated with a giveaway, doesn’t mean it is bad either. Just be aware of it, and who knows, maybe you will like the product you try out. Just be informed, and save yourself and likely the company unnecessary grief.